This book provides a comprehensive reflection of the processes of canonization, (un)pleasurable consumption and the emerging predominance of topics and theoretical concerns in neo-Victorianism. The repetitions and reiterations of the Victorian in contemporary culture document an unbroken fascination with the histories, technologies and achievements, as well as the injustices and atrocities, of the nineteenth century. They also reveal that, in many ways, contemporary identities are constructed through a Victorian mirror image fabricated by the desires, imaginings and critical interests of the present. Providing analyses of current negotiations of nineteenth-century texts, discourses and traumas, this volume explores the contemporary commodification and nostalgic recreation of the past. It brings together critical perspectives of experts in the fields of Victorian literature and culture, contemporary literature, and neo-Victorianism, with contributions by leading scholars in the field including Rosario Arias, Cora Kaplan, Elizabeth Ho, Marie-Luise Kohlke and Sally Shuttleworth. 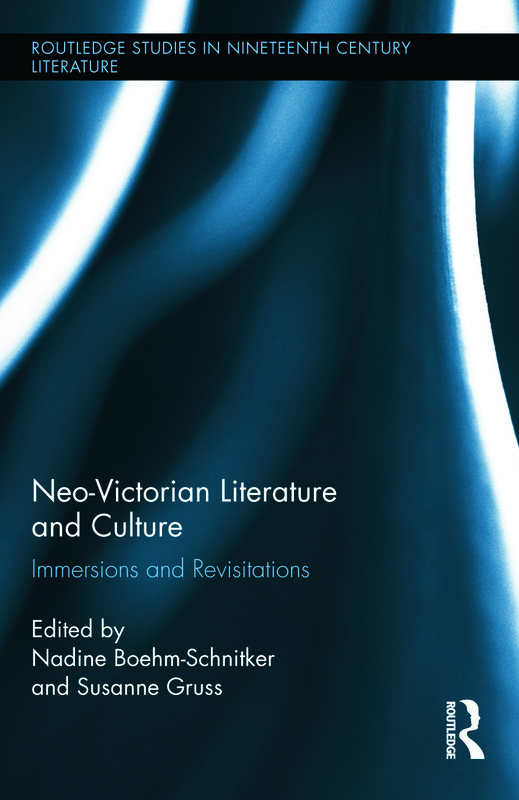 Neo-Victorian Literature and Culture interrogates current fashions in neo-Victorianism and their ideological leanings, the resurrection of cultural icons, and the reasons behind our relationship with and immersion in Victorian culture. Nadine Boehm-Schnitker holds a PhD from the Friedrich-Alexander-University of Erlangen-Nuremberg, Germany, where she works as a Lecturer in English Literature and Cultural Studies. She is interested in intersections of different fields of knowledge, and has published on a variety of subjects, among them cultural hermeneutics, postcolonial translation and the role of religious and ethical discourses in contemporary literature and popular film. Susanne Gruss is a Lecturer in English Literature and Culture at the Friedrich-Alexander-University of Erlangen-Nuremberg, Germany. She specializes in contemporary literature and culture, and has published a monograph on contemporary feminist writing. Her research interests include film and media studies, contemporary literature, neo-Victorianism and, more recently, Jacobean tragedy.